The credibility and justification of the British “Successor” Trident missile submarine fleet is entirely dependent upon the “submarine at sea” being able to avoid detection so that it cannot be taken out by the enemy before it delivers it’s payload. But oceanic sub-sea battle space is much reduced in size over the past twenty years and military chiefs are concerned that the new “Successor” submarines are unable to evade tracking and detection from increasingly sophisticated Russian anti-submarine warfare capabilities. It is fact that Russian submarines lie in wait, in the Atlantic, off the North East coast of Ireland, for British Trident submarines exiting Faslane. The submarine is then tracked throughout their tour of duty. the deterrent therefore is useless. Trident is a submarine-launched inter-continental ballistic nuclear weapons system, which is currently carried by four Royal Navy Vanguard-class submarines. Trident is a US nuclear system. The US provides assistance to Britain with its nuclear programme under the 1958 US – UK Mutual Defence Agreement. The UK has access to 58 missiles from the US pool of Trident II D5 missiles. British Trident Submarines collect the missiles from the US Trident base at Kings Bay, Georgia in the South-East of the United States. While the submarines are in the United States, they will usually test fire one or two missiles at the US Eastern Test Range, off the coast of Florida, where the US test fires its Trident missiles. The Trident missiles are maintained and serviced in the United States. Trident is expected to remain operational until 2028. In March 2007 MPs voted to replace it in order to continue the UK’s nuclear capacity into the 2060s. The ‘Initial Gate’ decision to begin procuring parts for the new submarines was made in May 2011. However, the ‘Main Gate’ decision – whether to proceed with a Trident replacement – will be made in 2016, after the 2015 general election. Despite a decision not supposedly having yet been made on replacing Trident a £1.1bn contract to produce new reactor cores for the next generation of the UK’s nuclear-armed submarines has already been awarded to Rolls-Royce. Chancellor George Osborne wants to take responsibility for Trident renewal away from the Ministry of Defence (MoD) and delegate it to a new body that reports directly to the Treasury amid concerns the nuclear weapons project could be delayed. Osborne has sent an ultimatum to Prime Minister David Cameron, saying he will only earmark £40 billion (US$60.8 billion) to pay for the next generation of submarines to carry Trident nuclear missiles if the project is taken away from the MoD. The chancellor is concerned the MoD, which has a poor procurement track record, will not have the Trident submarines ready by 2028, the year when the existing Vanguard submarines must be decommissioned. The Treasury’s latest stance is a signal of Osborne’s increasing power within Whitehall, as he seeks to take more control away from government departments. The government is expected to officially announce a new body to oversee the replacement of Trident submarines later this month. It will be modelled on the organizations that delivered the Olympics and Crossrail projects in London. 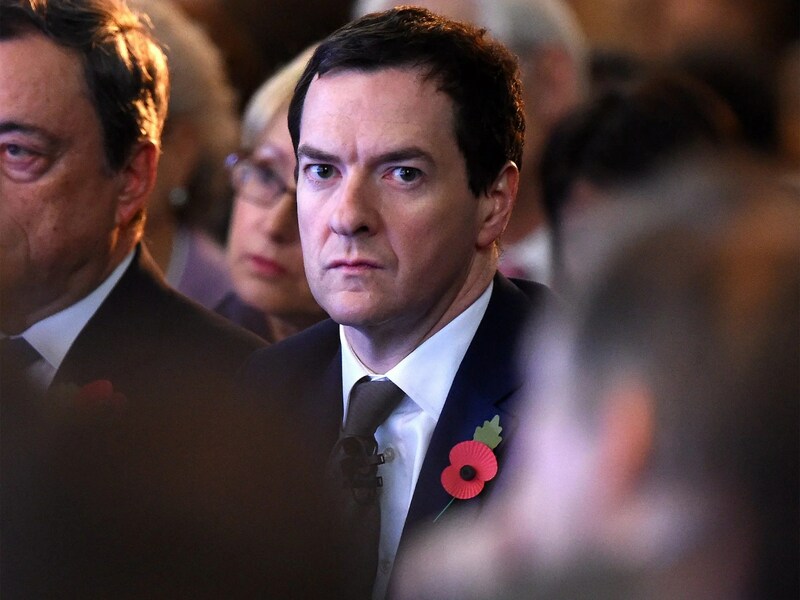 Osborne wants B.A.E. Systems and Rolls-Royce – two British arms companies involved in building the new generation of submarines – to stick to a 10-year timetable of delivering the submarines by 2028. Treasury officials are understood to have little faith in the MoD sticking to the schedule, given the department’s notorious record of delayed projects and overspending. The cost of renewing Britain’s Trident nuclear weapons program has jumped by 20 percent, according to the government’s Strategic Defence and Security Review (S.D.S.R.). Replacing Britain’s nuclear missiles system was estimated to cost £25 billion nine years ago, but that figure has been revised up to £31 billion, plus a £10 billion contingency. The new figure is likely to add fuel to arguments against replacing the nuclear missiles, with critics arguing it was too expensive even before the price hike. Whitehall officials are making plans to take over the submarine section of Rolls Royce after it’s shares tanked by nearly 20 per cent after the defence giant issued its fourth profit warning this year and its fifth since February 2014. There are fears the company, which makes large parts of Britain’s nuclear deterrent, could be subject to a hostile takeover from a foreign bidder. * Managing the nuclear submarine department itself. * Merging parts of Roll-Royce with British defence giant B.A.E . Systems. New legislation would be needed for the deal to go through. * Merging the submarine department with an as yet unidentified major investor. Britain would need to seek permission from America, which supplies the ballistic missiles, because a 1958 treaty insists they are told about changes of ownership of the Trident manufacturer. Since Warren East was installed as Rolls’ chief executive, California-based activist investor Value – Act has strengthened its hold on the group, increasing its stake to more than 10%. Value – Act is pushing for a seat on the Rolls board. Rolls-Royce was privatised by the Tory government in 1987 and is Britain’s biggest aerospace employer and one of the country’s key exporters. Comment: The Tory government is proceeding with their plans, replacing nuclear power plants throughout the UK, awarding contracts to Chinese and French nationalised companies. All risks in the build and operation of the nuclear power stations will be borne by the UK taxpayer. An examination of the contracts revealed that the most economical option would be to re-nationalise the nuclear power industry then build and operate the new nuclear power stations. Cost savings are projected to be between £6-10Billion. Dogma prevailed however and the better option was not even considered. It is of concern therefore that there is talk of a government takeover of part of Rolls Royce and funding of the “Successor” submarines. The overall cost of replacing Britain’s Trident nuclear weapons system would be £167bn, double previous credible estimates, according to new calculations based on official figures. The revised figure is nearly double the proportion the defence budget as its predecessor. The figures, released by the Ministry of Defence following parliamentary questions by Conservative MP Crispin Blunt, show ministers believe the cost of four new submarines would be £25bn. But the Government also says maintenance of the system over its lifetime would cost six per cent of the annual defence budget – which ministers have pledged to hold at two per cent of GDP. According to IMF GDP growth forecasts for the UK, the total figure would therefore be £167bn. Previous estimates of the cost of the system have been significantly lower. The Royal United Services Institute estimated in 2013 that a new system would cost between £70bn and £80bn for its lifetime. Ministers have previously suggested the cost could be as low as £20bn, but this calculation is widely believed to exclude various other factors. The independent Trident Commission said in 2014 that the cost of replacement would be around £100bn. The new figures relate to the lifetime cost of the system between 2028 and 2060. A final decision on whether to replace the system is due next year. A Twitter and I hate to say, facebook share button would be good CJ. Honestly, to even consider replacing trident is simply criminal. What a world these greedy, immoral gits are making for our kids and even theirs, or do they think their kids will somehow not be affected? oopsm just saw the fb and twitter share buttons, too late on a Friday, sorry.